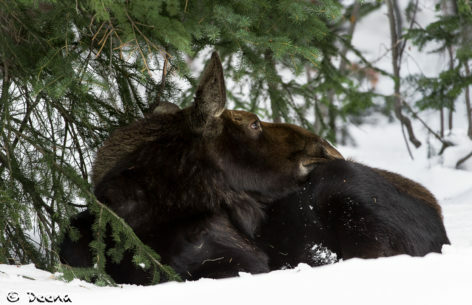 I was lucky enough one winter morning to be able to spend some time with this yearling moose and her mother. She obviously felt extremely comfortable with me in her presence as she fell into a deep slumber. It was amazing that she slept for hours in deep sleep in front of me. Silence is golden.